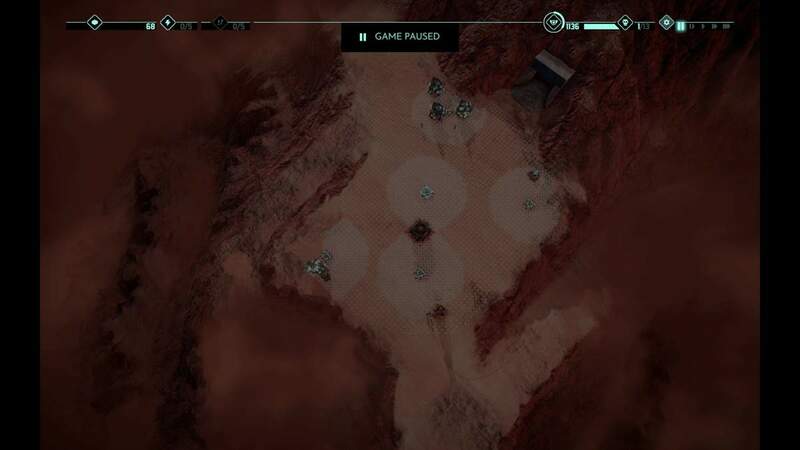 A tactical guide for each campaign maps for those, that found a brickwall in some of the missions to achieve perfect score. But I hardly recommend it to try and achieve perfect score through your own effort and continue reading it if you failed to achieve perfect score even after 5-10 tries. 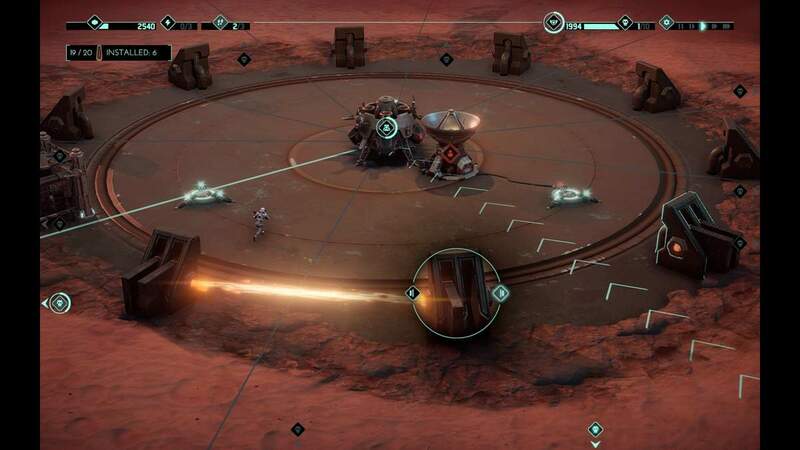 In the options, keybind either pause or slow speed to 'space' or any key, that is immediately available for you and use it if you're in trouble to analize the situation before you do anything. 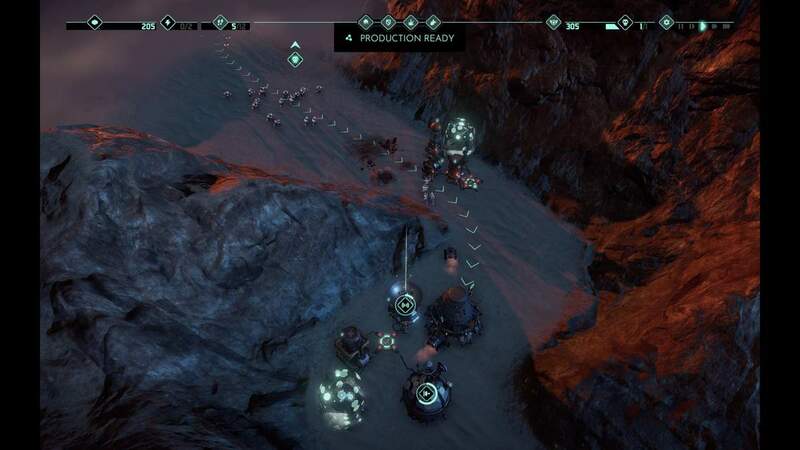 Rush all extractors to max and immediately start monolith reserch, there are only a few missions as exceptions to this, where starting resources are extremely tight. After these things are done, build a gun turret in the way of the first incoming weave, upgrade it to max and then (or along with it) start reserching higher tier towers (mostly missile first). From the point it becomes available, always pick protection, unless all (or at least most) extractors are in 'safe zones'. 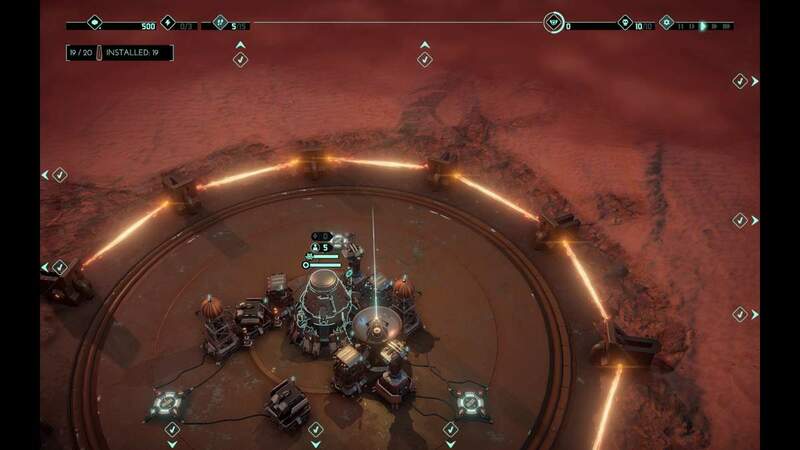 Upgrading Is Repairing -> If you have a tower, that will be there permanently and is damaged, upgrade it without repairing or even upgrade it in combat, the tower will have max HP + upgrading and repairing also acts as a short immunity for the buildings! 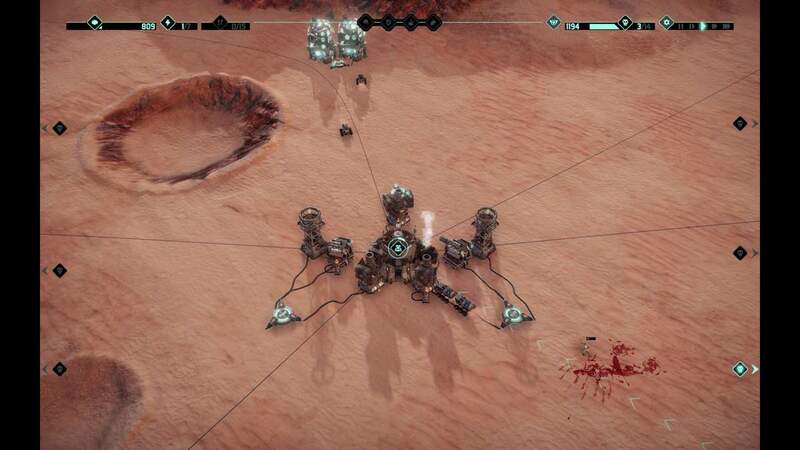 Swap around special crew to lower damage, utility towers to level up everyone if possible, they give +20% damage to towers, but tesla might not achieve any kills throughout a map because of it's low damage output and the crew inside would not upgrade at all. Start up with instant crew order, try to get 3 all the time, if you have to wait a few seconds, then wait for it, all crew orders have the same wait time, it's better to spend a few seconds to get 3 instead of just 1 or 2. There are times, when you need to SPAM-REPAIR your shield, do it, in this guide, you'll have enough money for that! I'll start here, since I truly think, that the first 3 missions are only at a tutorial level. 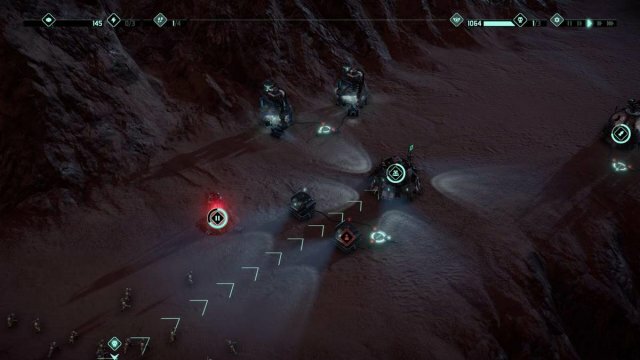 So here, in mission 4, we get the upgrade options unlocked too for the first time, but put it away at start. Pick the 100% refound trait or whatever, there's not much meaning behind them for now. 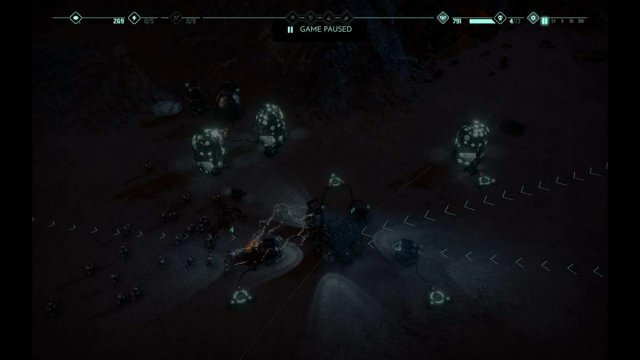 If you're doing things good, then the first zombie will be out from the fog just as you finish upgrading the extractors to max on the left side. Build a single machine gun to that side and send a crew into that and also by that time, the top lane's zombies will apear and closing in, start building a turret there too and send crew into that (now you'll out of crew) and upgrade those turrets to max. This much will be more than enough to handle the first 2 weaves, so now put down the rest of the energy relays the closest possible to the lander and build the reserch lab. Also, because you'll swim in building mats, get the lander upgrades too, so that few passing by zombies scratches won't matter. By the time, your crew should have arrived, send one into the lab and get that missile reserch. 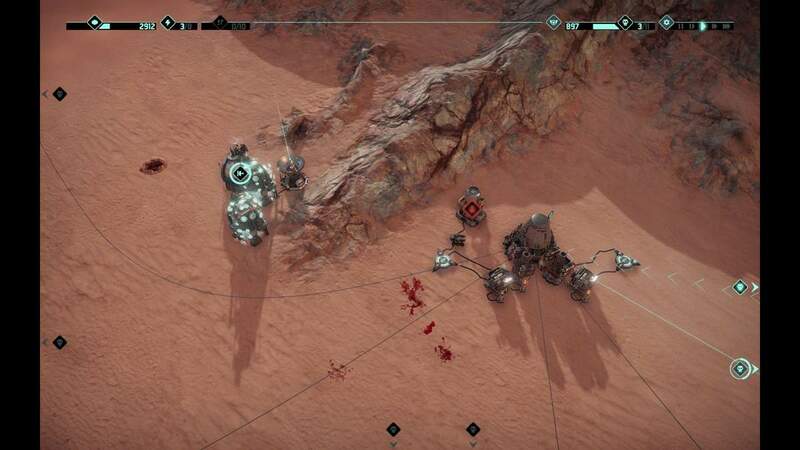 Practically, after you're done with the reserch, you're good with a single missile turret put between 2 gun turrets in the lanes (also, you can sell the reserch lab too, you won't need it anymore here). 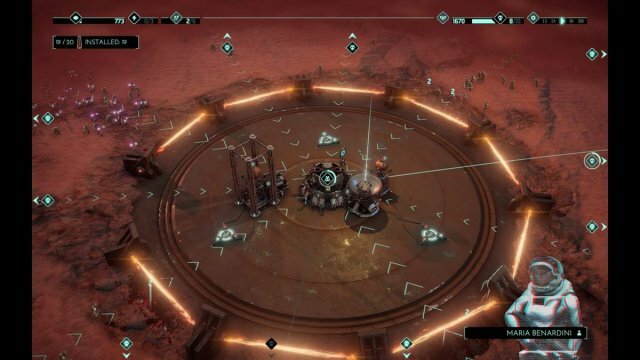 With the top lane, where there's an extra extractor, you can either sell it along with the towers to free up crew or build a 2nd, maybe 3rd turret for safety, but turtling up around lander is the best tactic so far. At this point, you'll have so much money, you'll not be able to spend, so just build as much stuff as possible for more safety, but always have a few gun turrets in the rows of missile turrets, because missiles have a 'blind' zone, that needs some protection. Here, pick quick support or reserch as perk. We only need the 3 extractors in the bottom, outside of the range of the zombie weaves, the others need too much extra protection outside. 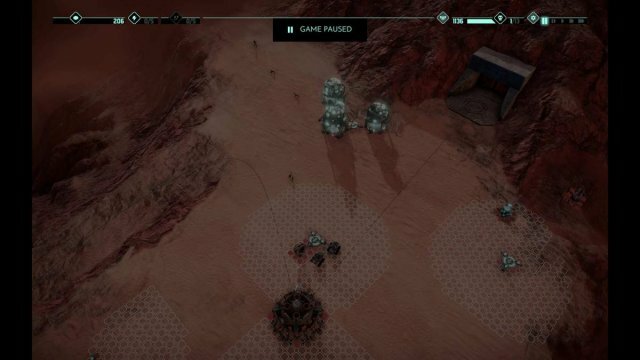 After the initial setup is ready, put 1 gun turret to the monolith, that should protect it, and 1 to the left corner of your lander. With the quick supply perk, you'll get a lot of crew before the zombies even get close, use the crew too for defense here, since you'll be a bit low on money at start. 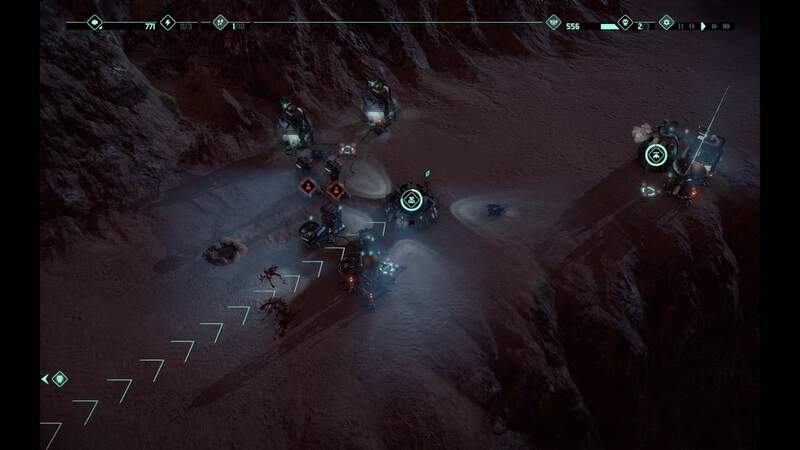 Then, after you got 12-15 crew, you're fine, build missile turrets 2-2 on left and right sides around the corners of your base. Left and right corner 3-3 towers are more than enough for the missions, others are all just an extra, also you can use a cross of 1 machinegun, 1 missile and 1 laser or almost any other setup for that 3 towers, just always include 1 machinegun at least because of missile and laser's blind zone for safety. 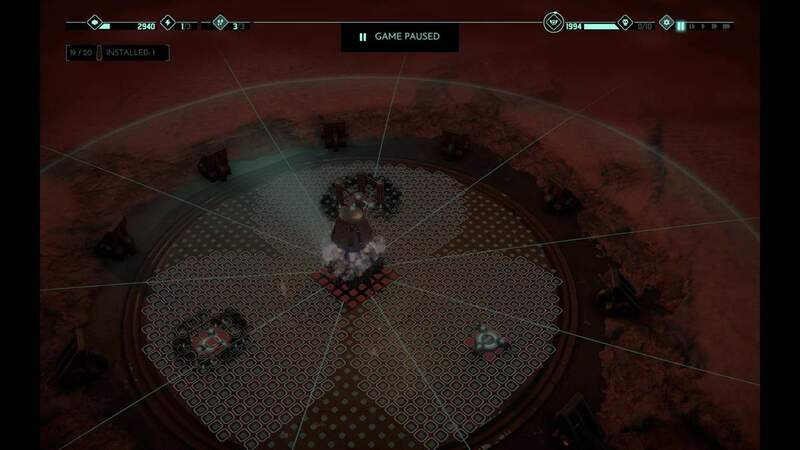 Here, we are finaly able to pick protection for the first time and there are also only 2 extractors out in the nothingness, but also, we are restricted in many other ways. 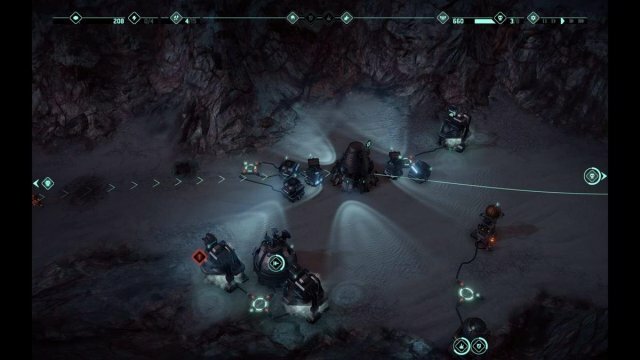 Just build that 3 relays as close to your base as possible, while still covering the extractors and build the towers as close to the base as possible and problem solved. 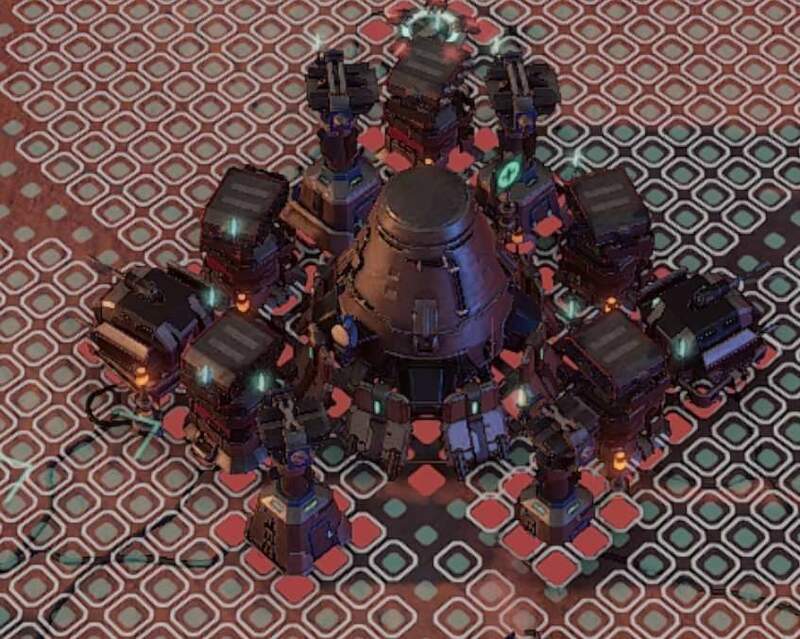 First, build 3 laser towers and the arms factory, man them up and upgrade them slowly, but build a nuke before you upgrade the towers, because they won't be able to deal with the right side weave. Also, build the shield after first or second tower, you'll need that here. If the right side big weave is out, throw the nuke on them and start building a new one. After that, you can start to slowly upgrade your towers. In the end, you can also sell one extractor and swap that last crew to a new tower. You can also play with a crew in the arms factory to put it into a tower if there's no nuke building in progress. Keep a sure nuke for the 6th weave's suicide bombers! And immediately build a new nuke for the 7th weave for similar reason! 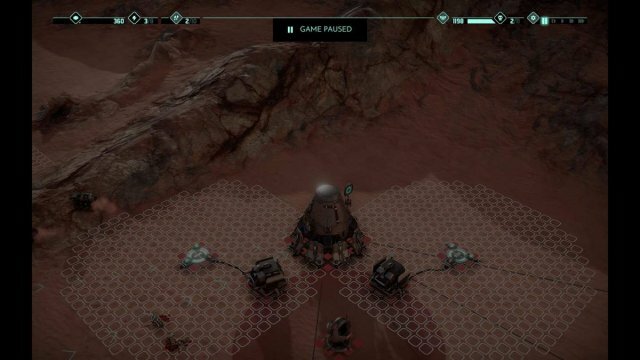 Normal start, pick protection, extractors are way outside of convenient range of protection, build 3 more relays as close to your base as possible and start turtling up. Gun turret to the upper corner of the base and another on the lower right side just in the way of the incoming weaves, upgrade them to max and after that, start the missile reserch. Build lander upgrades here. 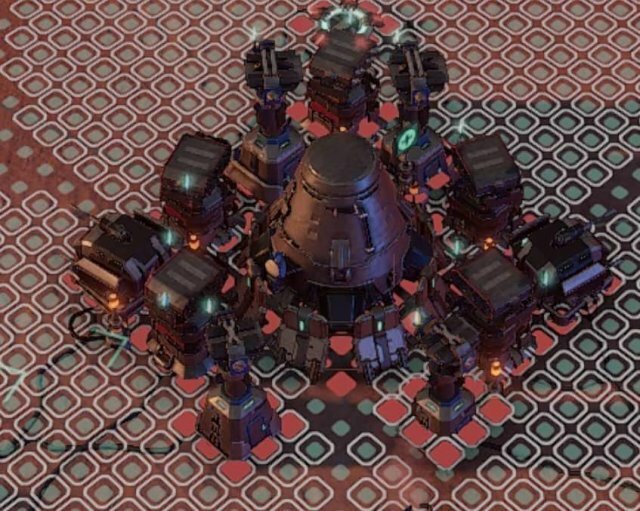 Build 3-4 missile towers, upgrade them to max and you're practically done. Get superweapons and use them if there's a big fat weave coming, but no other fancy stuff here. 2-3 extra crew orders (always buy +3) are absolutely enough. 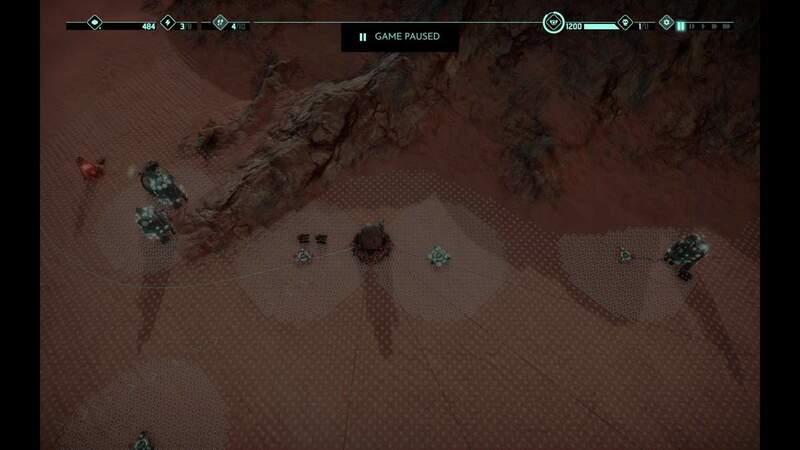 Mission #8 Here, skip quick reserch and luckily we also start with missile upgrade too. 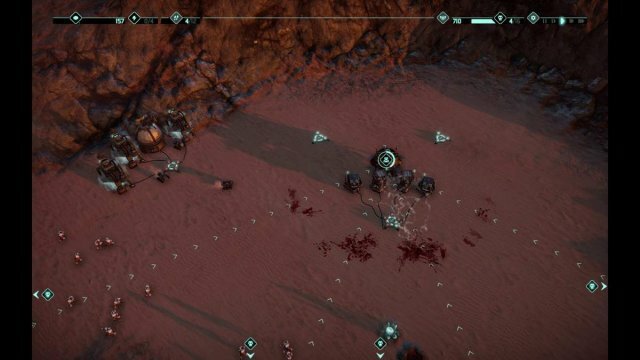 Buy 3 extra crew and quick rush all extractors to max, you'll have enough time to build the towers. 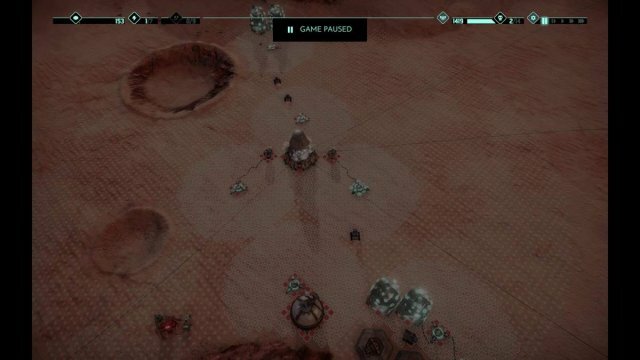 At start, you should build 2 towers on the 2 sides of your base and 1 later, behind your base compared to the first attack weave (all missile). 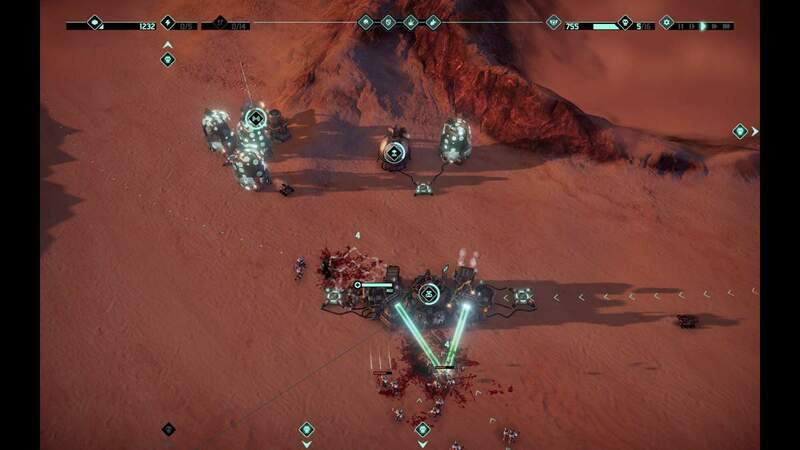 After they're all lvl 3, start reserching tesla and laser first, tesla is good against the runners to give you extra time and laser will be important against the masses of lightning zombies. 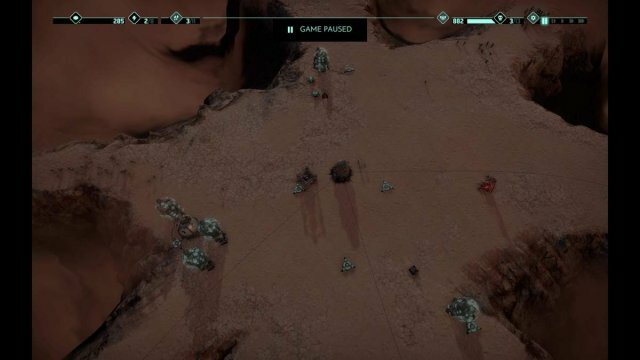 Also, you can start getting the superweapons after having enough money along with the reserches in progress. Since we still have a frontline extractor, protection again as almost always just in case, but with the setup here, you can also go with other perks too, since towers will be around that extractor. After you got the tesla too, get tier 2 reserch alog with the laser and when you got them, quickly make a prism tower and then upgrade your other stuff to tier 2. 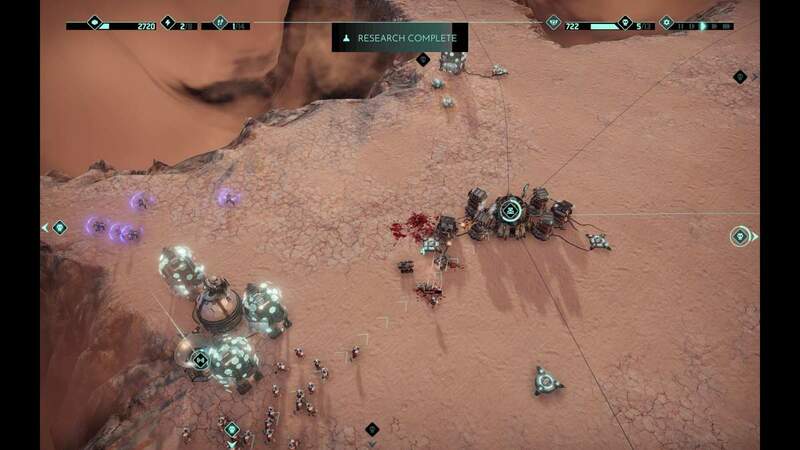 (and don't forget to sell the reserch lab after you finished reserching) Around this point, there will be big masses of suicide zombies, just use nukes on them, they're dangerous. You can also combine it with a freezing beam first to wait up the rest of the zombies and nuke them together with the rest of the weave. Stack up 5-8 crew in the lander just in case some Runners get through. Pick quick supply here, you'll need a lot of manpower quickly! 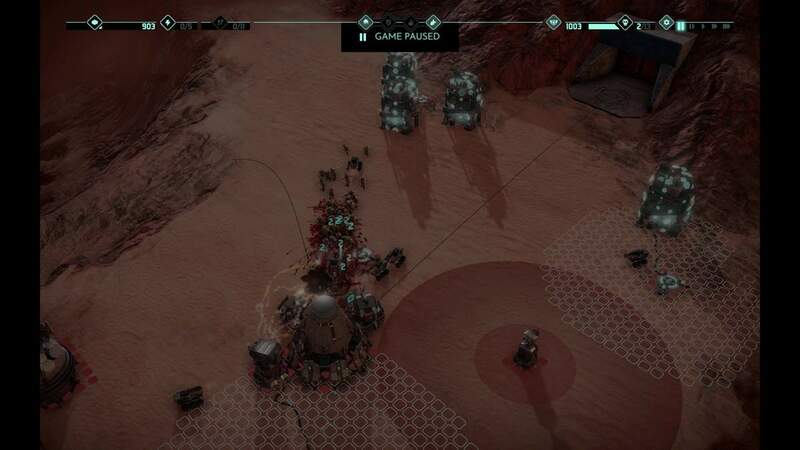 Don't build a single tower at start, get all crew around the monolith to protect it and getting a nuke, you'll need it against the runners of the first weave. 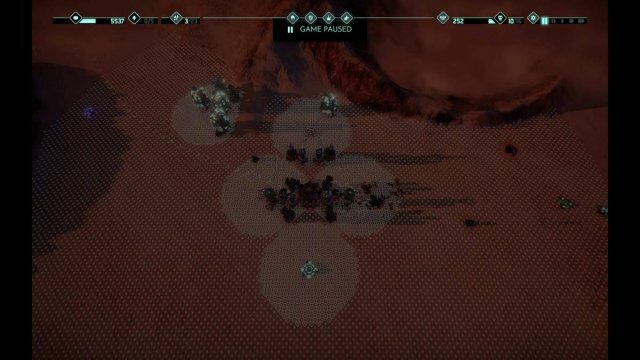 4 crew can deal with the first weave from the left until the runners are there, that should get nuked. After nuke is in progress and single turret is maxed on the left, start missile reserch. 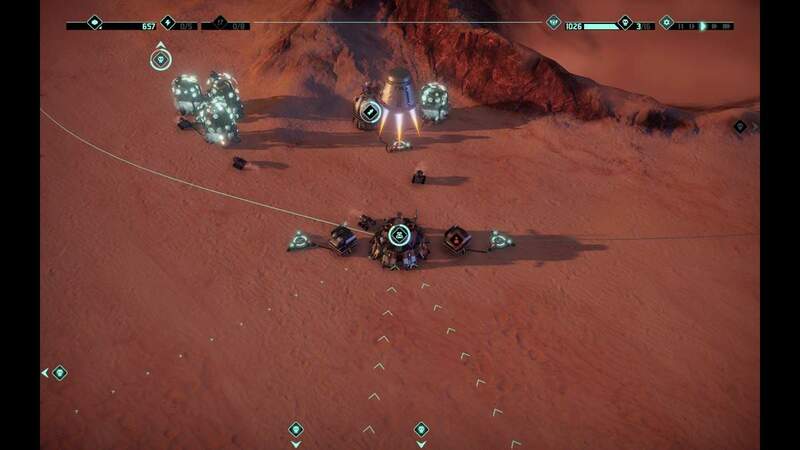 You will need 1-1 missile turrets on each side of your base. 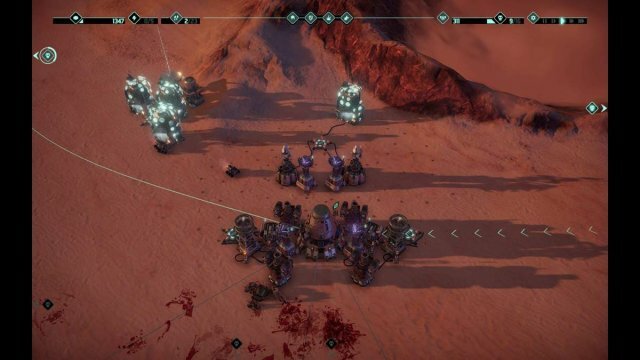 Try to get this setup quickly, sell the outer tower if you've built one to protect the monolith and at this point is where I've started to reserch lasers, just after the first pyro came with the message about them. 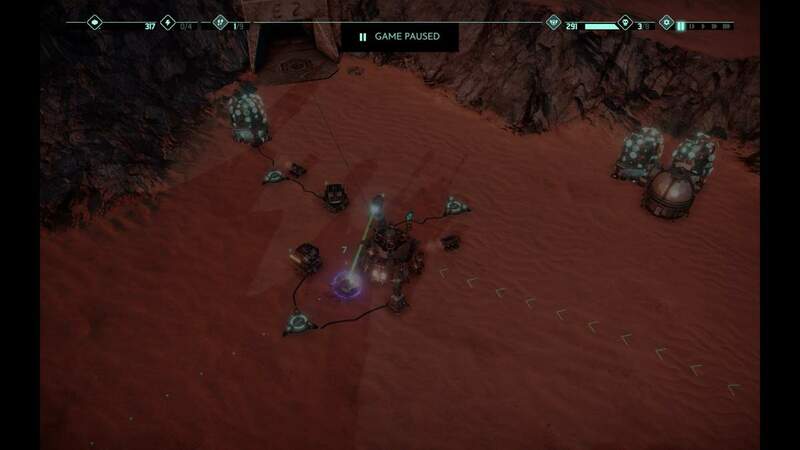 Then build 2-3 lasers and during building them, get the tier 2 upgrade and sell the reserch lab. 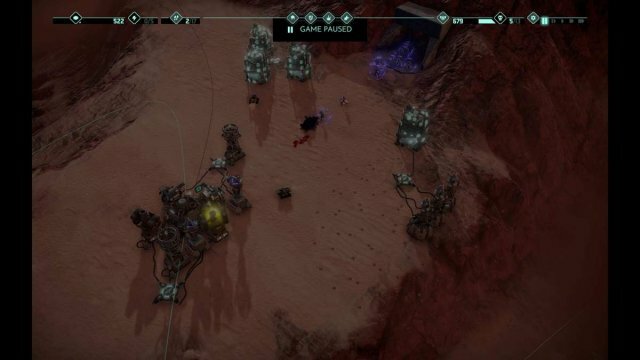 This is the final setup with 3 extra crew in my base and a nuke targeted on the suicide group in a final weave. 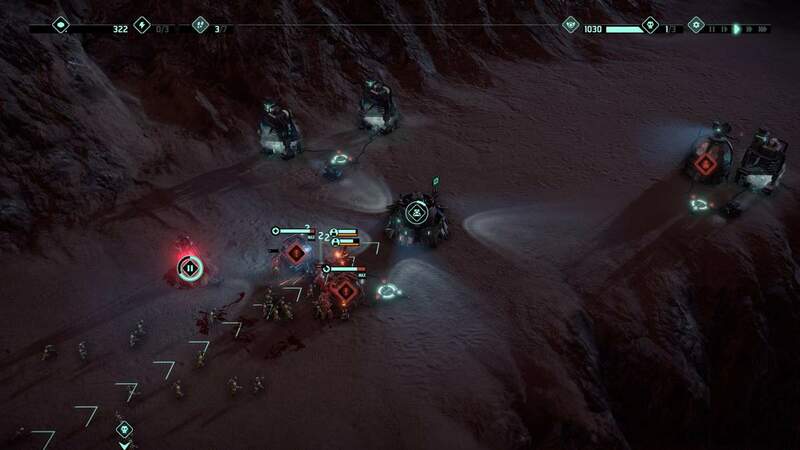 If enemies reach your base at any point of the game, freeze them, also freeze and protection is the 2 best superweapons, not the nuke, they are much better, especially for perfect score, because you can use them on your base and not damage anything, just don't have crew on the outside at all. Get protection again from here. This is the starting setup. 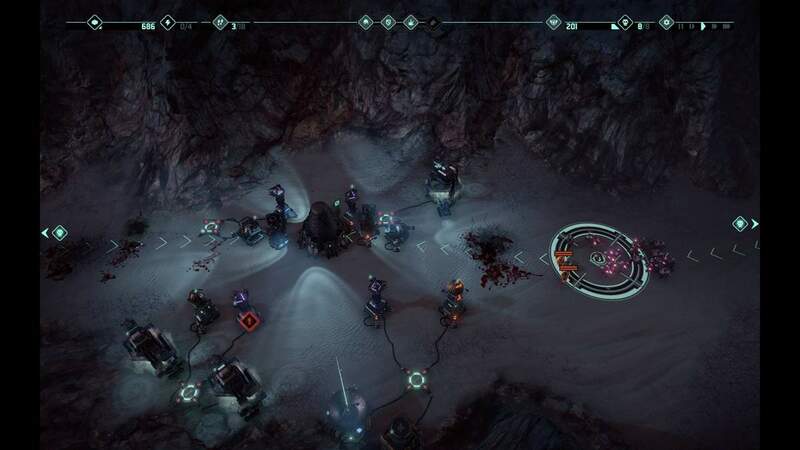 Next thing to do here is to get the shield, because the lightning zombies will reach the base and also in this position I have laser reserch in progress, we'll need a lot against the lightning zombies from the top, but 2nd should be missile against swarming litthe ones. After these stepps are done, build a 2nd machine gun turret to the left side weave, that can still cover the top side too, around the corner of the lander and get the first crew put into that and the rest between to the two turrets for now. 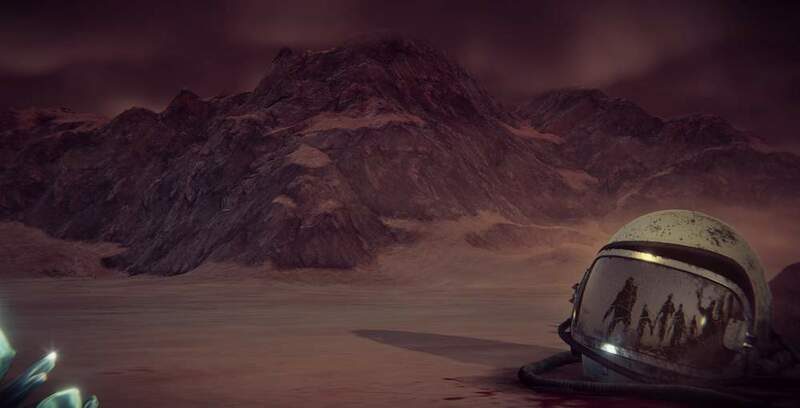 Delay 2nd crew buying and only upgrade the new turret if you have enough money to repair the shield for safety and get 2nd crew after there are no more zombies left around the base. Now lightning zombies come from the left and laser reserch is finished, immediately start missile and get up 2 lasers unupgraded asap, so you can deal with the incoming lightning zombies much easier. This is my setup here, after this part, the missile reserch will be done. I'm using them like this. At this point, upgrade all of these towers to max, start tier 2 upgrade ans superweapons after upgrades are done and tesla reserch finished. 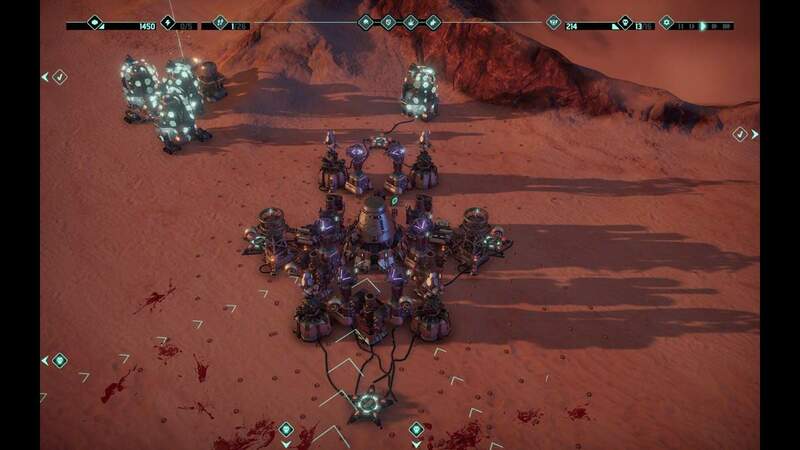 Position the Tesla towers like this, so with just 2 towers, all 3 weaves will be slowed. From here on, you should only get laser towers and 1-2 more missile at most with tier 2 upgrades. Get laser superweapon for the last boss in the last weave, otherwise you won't realy need them, maybe a nuke against suicide bombers and freeze/protection just in case if you want them. 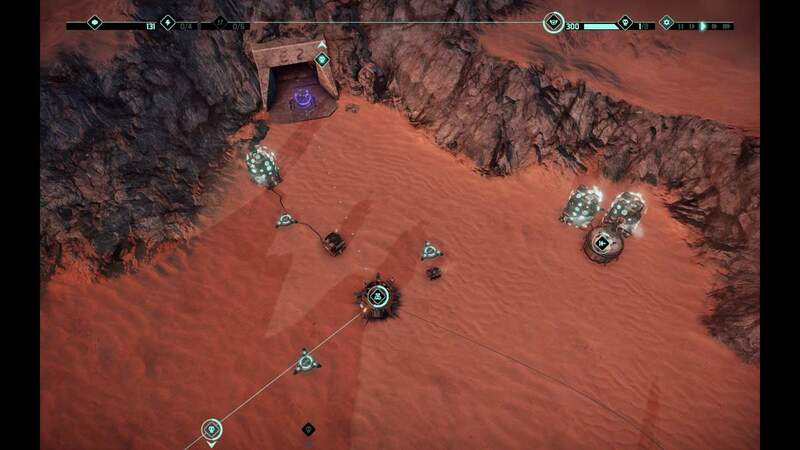 Get quick reserch here, rush missile only build the tripple extractors. 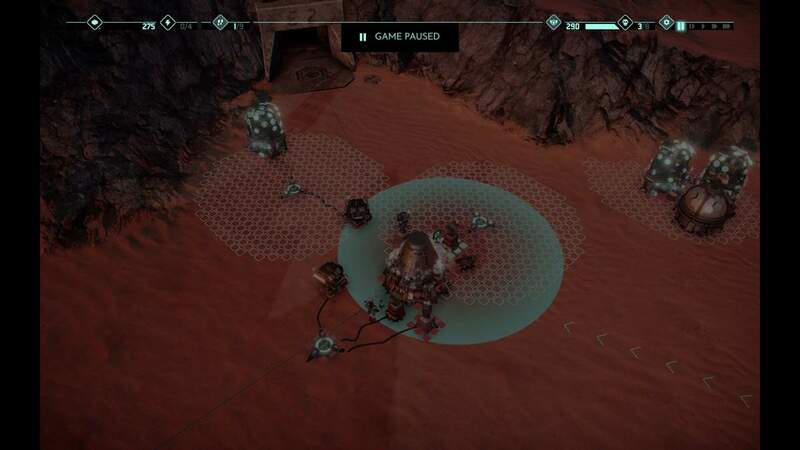 upgrade their relay too immediately and build the reserch lab between the extractors as far back as possible from the lane. Here, you can also see 'the' triangle setup. This is the middle stage setup. After these thing are set up, you only need to slowly upgrade your base. This is my final setup here. 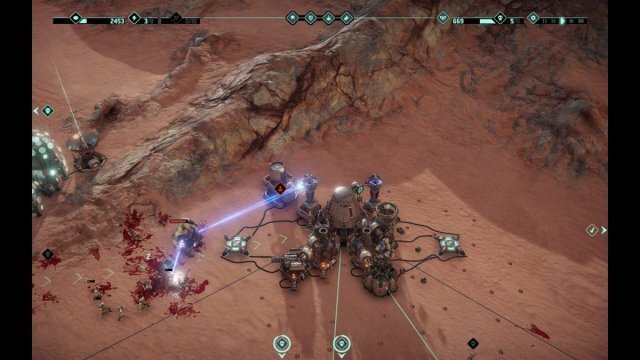 In the final weave, you can use the tripple laser on the double mutants for easy win. 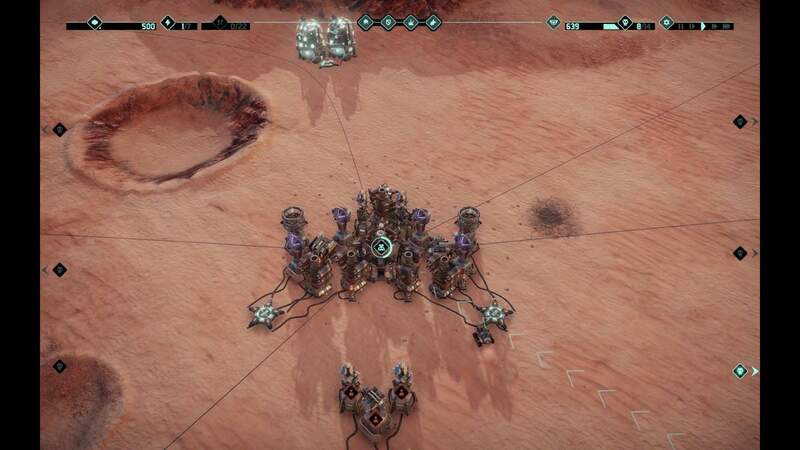 With the base protection picked, get this setup with the energy grids and first 2 towers. When first weave arrives, you'll get the first crew recruitment too. 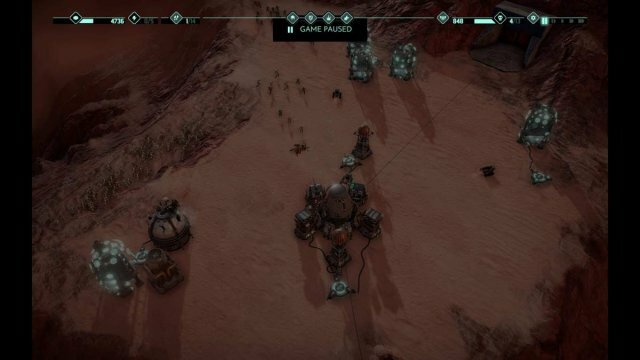 You can funnel all your cash into the extractors early in the game, you'll have enough time to get more for towers, first weaves are super slow. 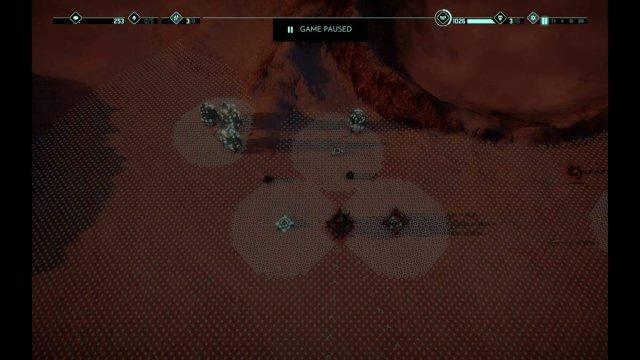 You can get superweapons and some energy hub upgrades too from start. This is the next important setup we need here. Also, don't forget to build shield, because they will scratch your base maybe. From here on, just get more crew and immediately use them for buildings, because you'll have more tier 2 towers, than you have crew... or at least you'll be close to building more tier 2 towers, than you can buy new crew. 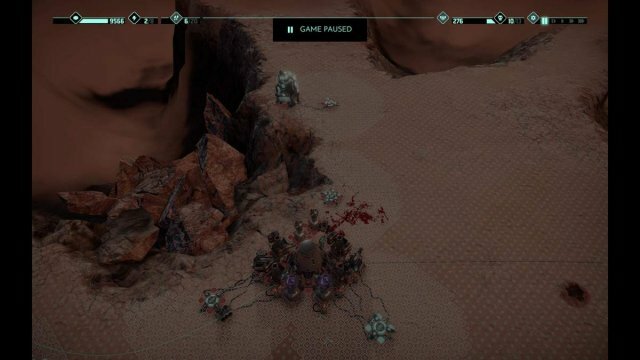 I've started getting the superweapons only here. On the first mutant, you might want to use a freeze or the tripple laser... or just 'spam' the shield repair. Use nukes on masses of suicide bombers or freeze them up in tower range, before they fly up. You will still have to use freeze and nuke on the bomber weaves and tripple laser on mutants for convenient win, you still have to pay attention to these things, but no other enemies should pose any real threat. 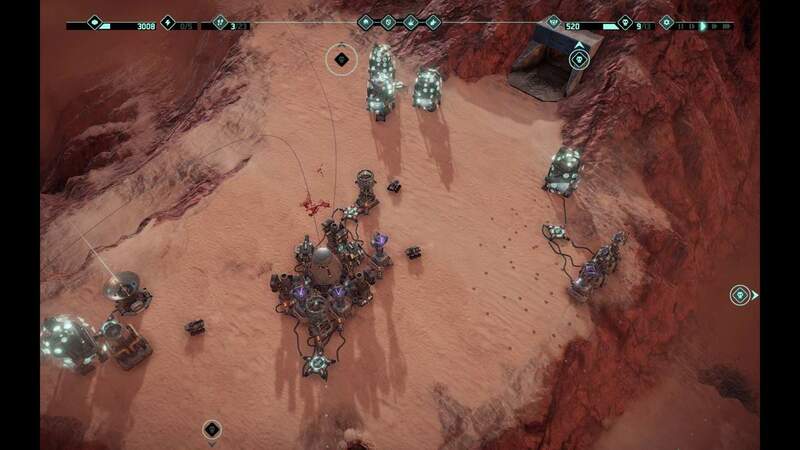 Well, this map is a bit tricky because of the mid game landslide... because of it, I recommend this setup: (we also don't have access to superweapons, so that's another hardening factor, but everyting is still managable with some more repairs with the insane ammount of money we'll be able to make from the loads of extractors). 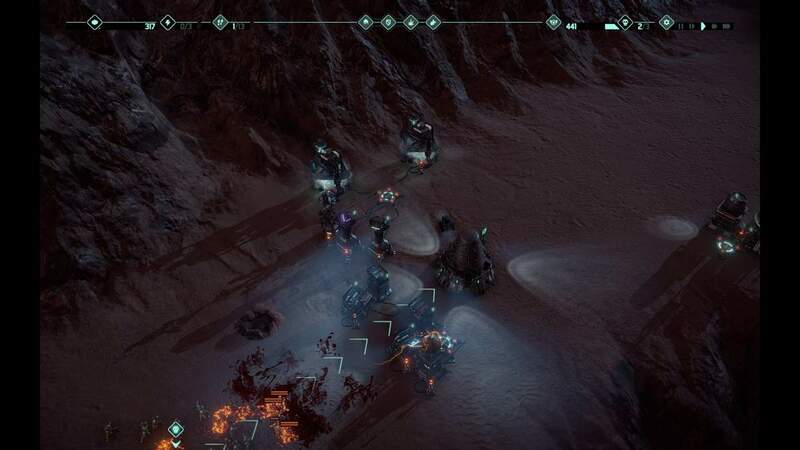 Like this, you surely won't have any buildings lost to it, the 2 leftover extractors would be destroyed and you also have more than enough without them anyways, at this point is when I've started the reserch for missile and all extractors are at max lvl. After the other side's tower is finished too, order the second bounch of crew, analysis will be done around here too as an indicator. 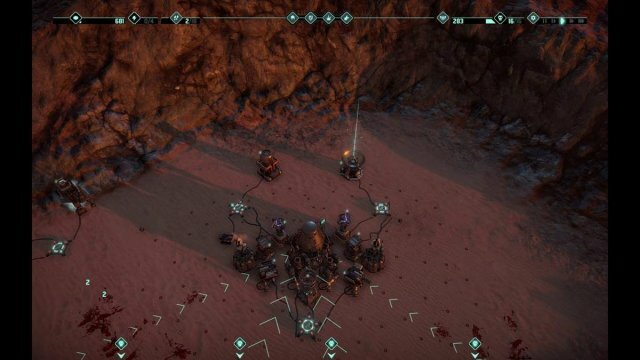 This is the new energy setup after landslide (you should have the 2 laser/prism towers up when the mutants arrive, you will need some repairs, but nothing extreme, also, around the landslide, you'll finish reserches and can sell the lab, just don't do it during if there are zombies nearby. 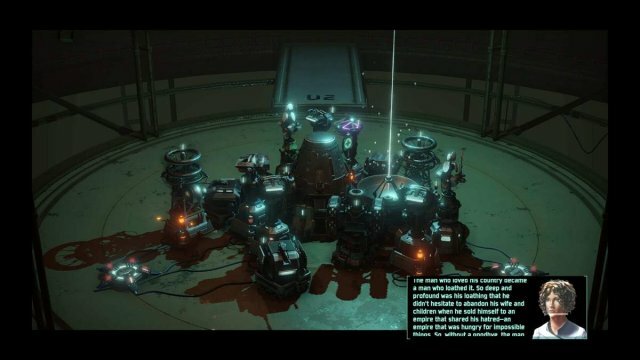 The crew might lure them on the tier 2 lab. This is my final layout here. You can also start building it from start, I've made the other setups only, because I don't know the exact position of the landslide and I'm doing a complete playthrough for you and my only extra knowledge was, that there will be a landslide, which you'll be warned ingame in time. 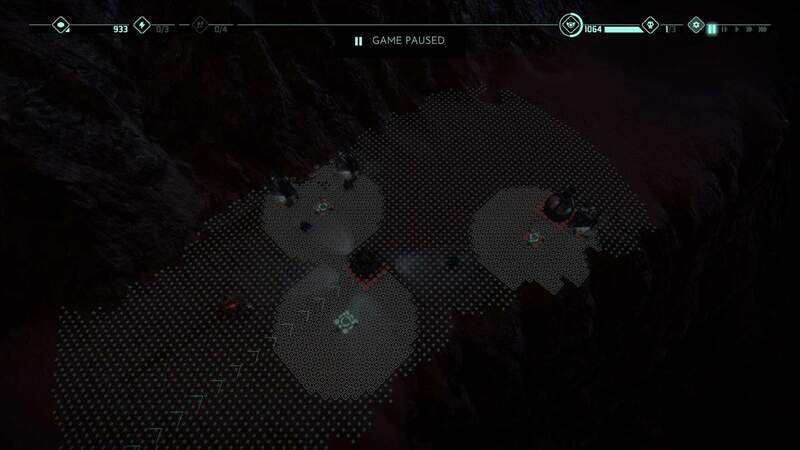 This slightly pushed up energy hub layout is the one we should use. 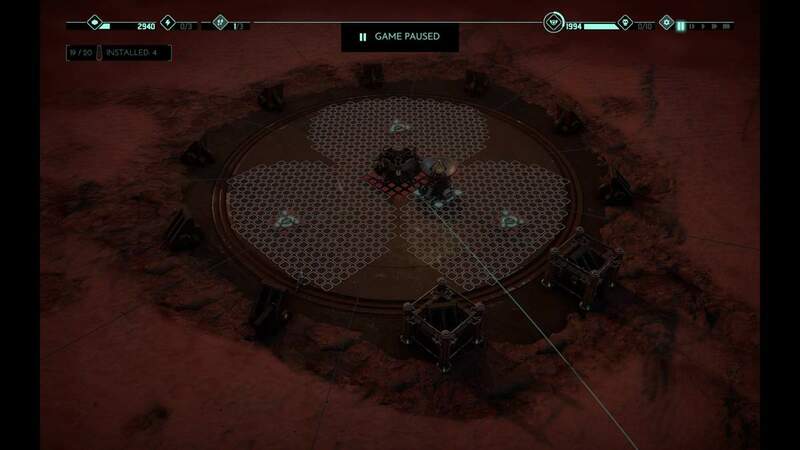 With this, we'll have access to all extractors and still have the triangle setup for 3 energy grid access for our base's defenes. 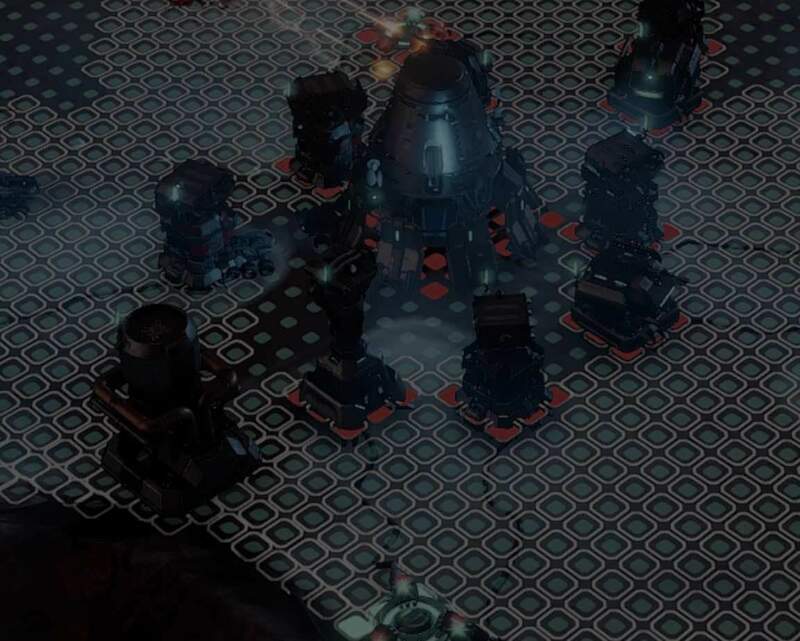 During the first weave of zombies, I've already have all superweapons, analisis complete and missile just reserched, here just build 2 missile towers behind the gun towers and slowly build up the base. This is the state during the fat zombie weave you should get: (upgrade the tripple extractor's energy hub to lvl 3 and build the arms factory and tier 2 upgrade lab there, behind the extractors). From this point, just get more towers and watch out for danger and use superweapons on it, like multipple mutants grouped up or lots of suicide bombers. This is my final building setup here: (so far, I haven't even touched superweapons, just some occasional repairs). Here, you can get all the extractors at start, but 3 might be enough too, you'll never gonna use all the energy hubs. 'rush' missile reserch and use a dual energy setup, like this: I'm going with all the extractors and I'll sell the outer ones slowly, when I'll need more manpower for defense, since here we're locked with a fix number of crew). The monolith analysis will be complete in time if you've sent out the crew immediately at the game start or shortly after that, but don't delay it too much, because it will get swarmed after that. 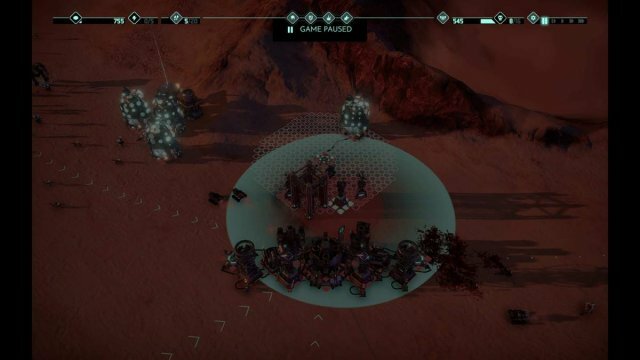 At this point, only the dron tower reserch is remaining, I've relocated the left machine gun's crew to the create all the superweapons just in case, but after that, move it back to a tower. It's also an extra option to sell another extractor and rebuild a machine gun to the right side or have a permanent crew in the arms factory. (I've done the arms factory version, since here it's neccecery to use superweapons ofthen on the mutants). This is the first tower's position, you'll need the shield, because crew will arrive a bit late, use leftover crew too for addition al firepower. 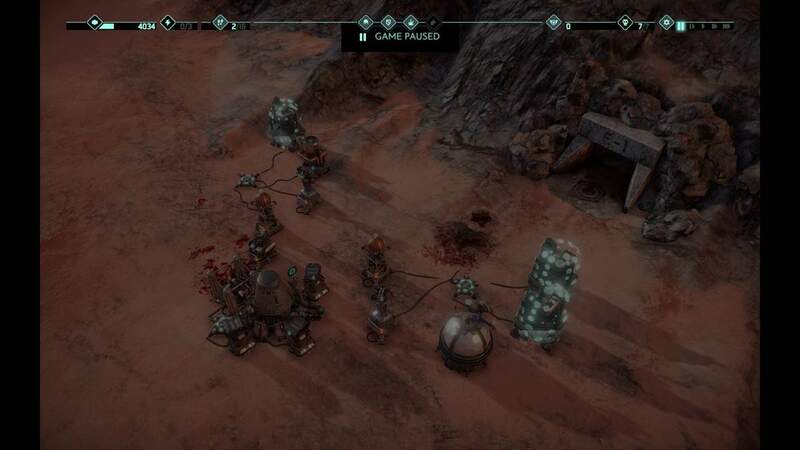 You can upgrade the tower and a 3rd extractor to lvl 3 before crew arrives, immediately buy the next 3, we need to get rid of the manpower shortage quickly, then upgrade the last extractor and start building the reserch lab and 5th extractor. After that, start missile reserch and start up arms factory too, we'll need superweapons relatively fast, it's not that important this early, but better not to forget getting things ready in time. I've bought all superweapons here. Before crew arrives, you should build up 2 extra gun turrets too for them as extra firepower against the large mass of weak zombies here, you also should finish missile around here: (the 3 gun turret upgraded to max should be enough to deal with the weave, at most you'll need a freeze, but the outer tower should be able to tank up and slow down the weave for the other 2 to finish them up). After this weave, sell the outer gun turret and build a 2nd missile turret for the crew and buy next bounch. 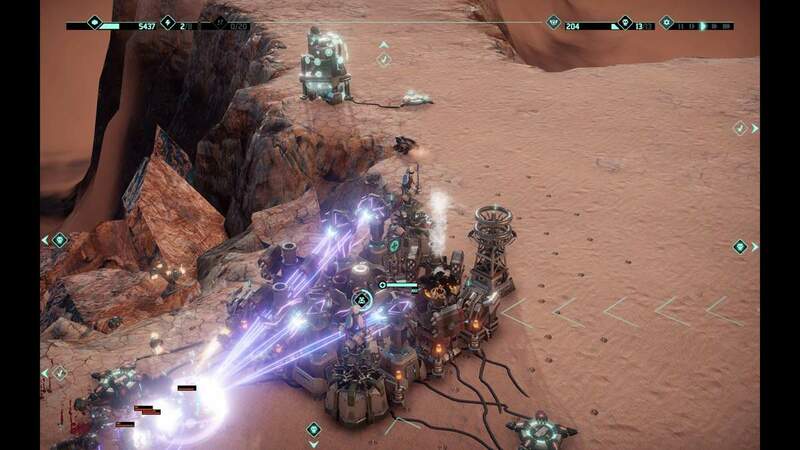 the 2 missiles should be able to deal with the fatty weave, but build a tesla if you need with a repositione gun crew, while extra crew is not there. 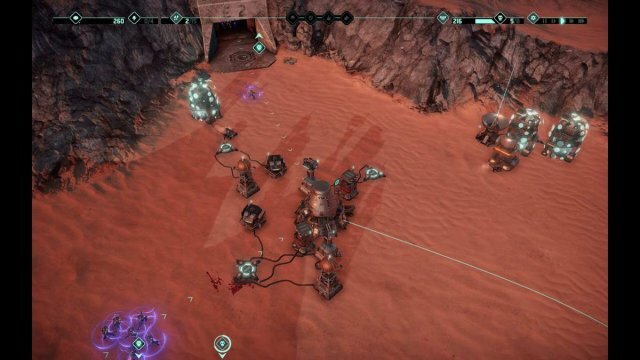 Use freeze and tripple laser on the Shocker incoming from the top and start setting up laser towers. 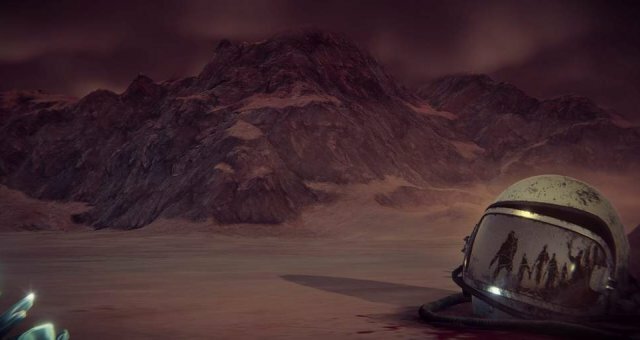 After reserches are done, sell the reserch lab and get the tier 2 upgrade. Tripple laser mutants, freeze them, etc., there's nothing else here now. You can do some fancy extra drone towers from the top extractors and stuff, but that's absolutely not neccecery. 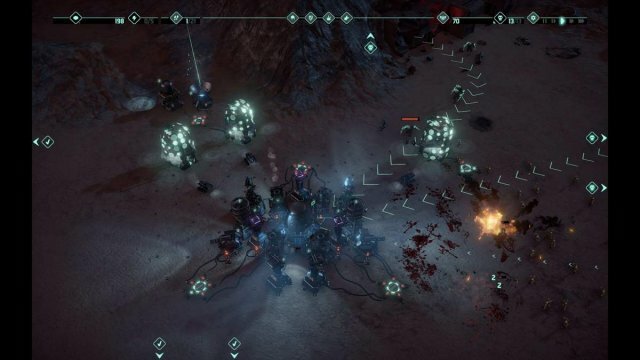 Some well timed freezes, tripple lasers on double mutants and protections are more than enough. 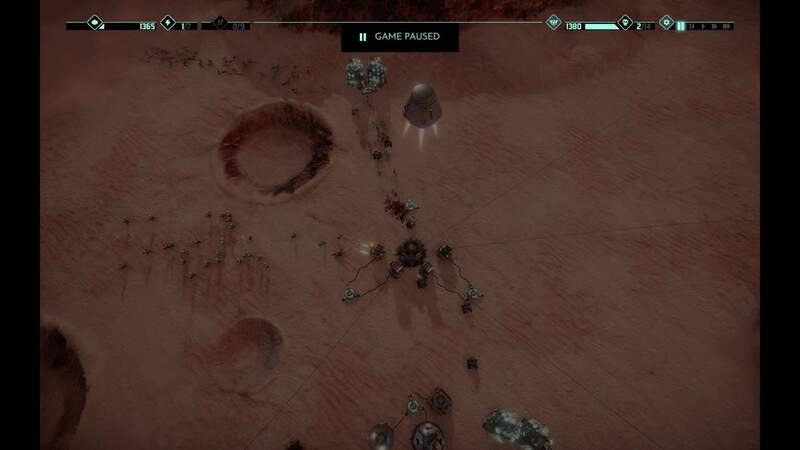 Reserch will also be ready and you should move that crew to the extractor for now to get money and build 2 missile towers (you might need to put things on slow to be able to do all this, while also repairing the towers in combat). After 1 missile tower is ready, heal up crew if needed, man up 1 turret and continue the monolith, also continue reserch. Get superweapons or tier 2 here and rush nuke or keep 500-1000 building mats to quick repair vs the bombers incoming. If you time the repairs well, then you'll immune most of their damage, or just nuke them. After the towers are upgraded, you can play the extractor selling game here too and keep only the backside part for upgrades, superweapons and some income, while you reposition the other 2 energy hubs for a better tower layout, but this setup is more than enough here with superweapons well used. you can farm up with supplies and do other nasty things to max out your base by simply afking... Don't do that. 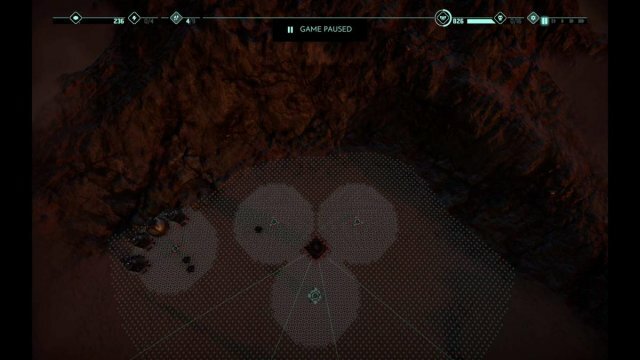 after you got 15 crew, just install the last monolith and go down, you'll be absolutely fine. Also, don't forget to spend all your money before that, because it will be reset and you will lose it practically. money will be reset after all descending to 3500. Only after descending, should you get tier 2 upgrades, but after that, wait up some money just in case you'll need repair, you can even rush the first weaves for some bonus cash. I've double checked, but superweapons are still not usable here, the game doesn't let you click on the building icon. Keep a 200-400 cash for the 2 crushers incoming just in case. 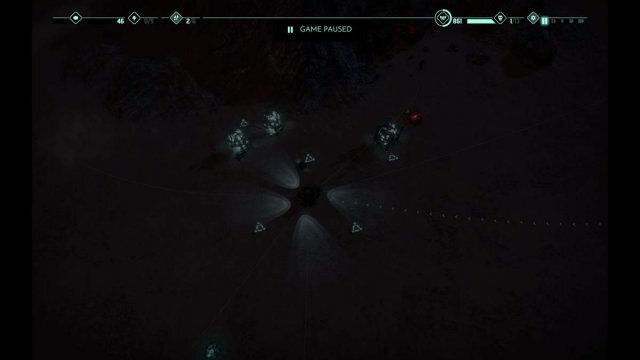 On next descent, upgrade energy hubs to max and get up the last towers. At this point, only upgrade towers to tier 2 and drone them up if you have enough money after tier 2 upgrades. Since there are no superweapons, other than manual repairs, there's nothing else to do here. You're going to win just by watching the show.